So Restoration Hardware does very little wrong in my eyes, and this Timothy Oulton chair is no different. 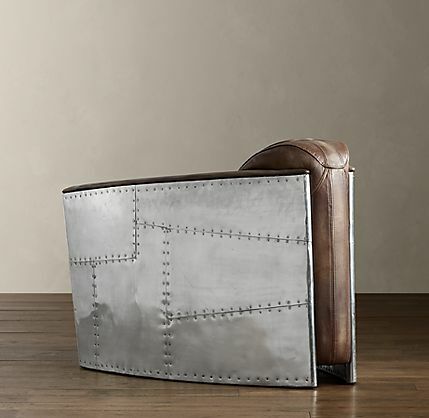 Taking cues from the riveted aluminum bomber planes of World War II, this over-sized comfy chair would go just right in my den. 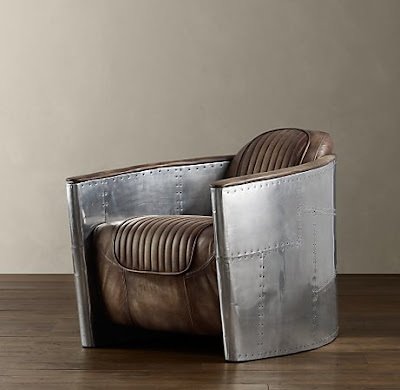 "Drawing inspiration from World War II bomber planes, this chair's aerodynamic curves are hugged in riveted aluminum, while the seat and back are swathed in ribbed leather with the busted-down softness of a vintage bomber jacket. 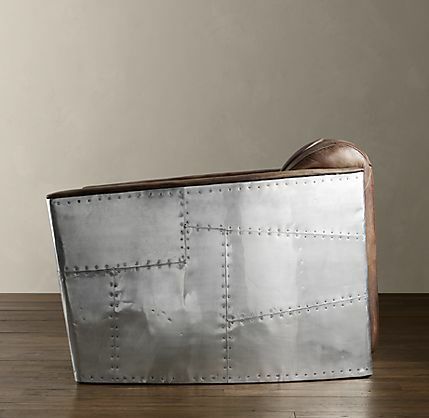 A low seat and raked back give it true flyboy swagger. 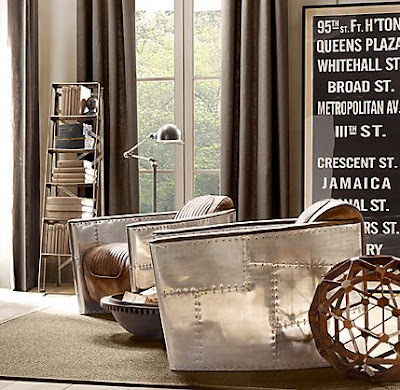 -Aluminum has a matte finish that's lightly distressed for a vintage look; some nicks are to be expected." Flyboy swagger, eh? Yes, ma'am. 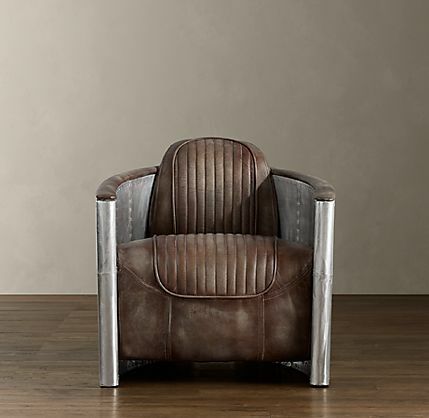 What's better than this awesome chair? Getting this awesome chair on sale... Check it here. Wow. That is a brilliant chair. I bet I could really get a good Trans Atlantic Snooze on it. Oh, Nick. It is not lovely or awesome. You have been to too many football parties and your mind is befuddled. How can anyone relax if they're afraid of being jettisoned with no parachute any minute? No no no.